Introducing: Angels Among Us – Challenge Edition! 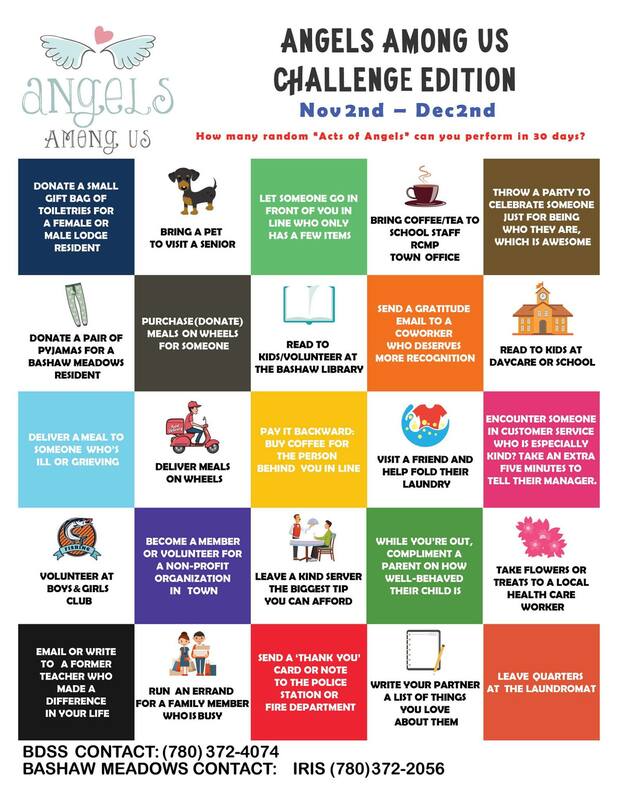 Starting November 2nd, we are challenging the community to make a difference and become an everyday Angel! Keep your eyes up and your ears open! You never know when you might see an angel in action. We really want to hear your stories! If you or anyone you know has been the recipient of an Angel’s good deed, please share your story on our Facebook page or your own with the hashtag #bashawangels or #angelsamongus. 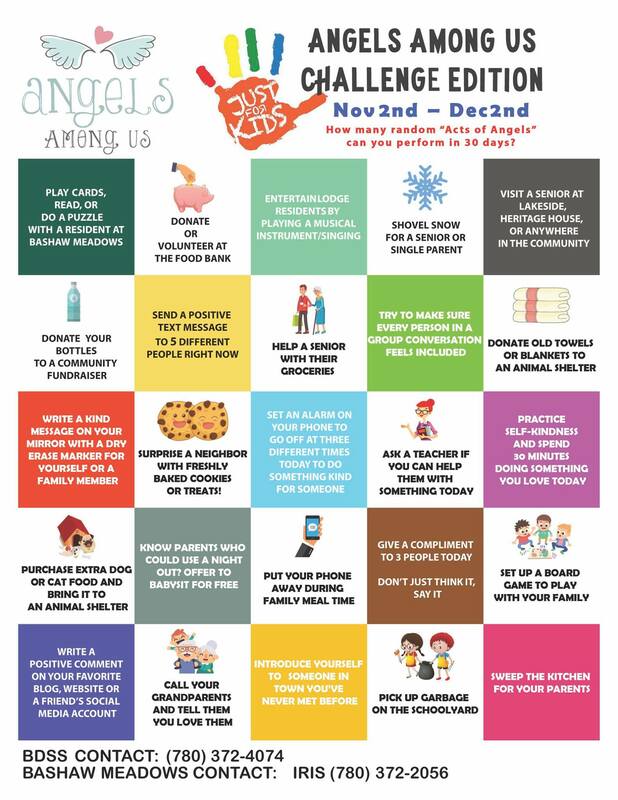 Challenge your neighbour, your friends, and other families to 30 days with 30 random ‘Acts’. Small Bag of Toiletries (Female or Male): deodorant, unscented body lotion, denture brush, toothbrush, toothpaste, mouthwash, nail clippers, shampoo & conditioner, body wash, brush/comb, hair accessories (head bands, clips, etc.). Pyjamas for Residents: women’s sizes small to x-large, men’s sizes small to large.